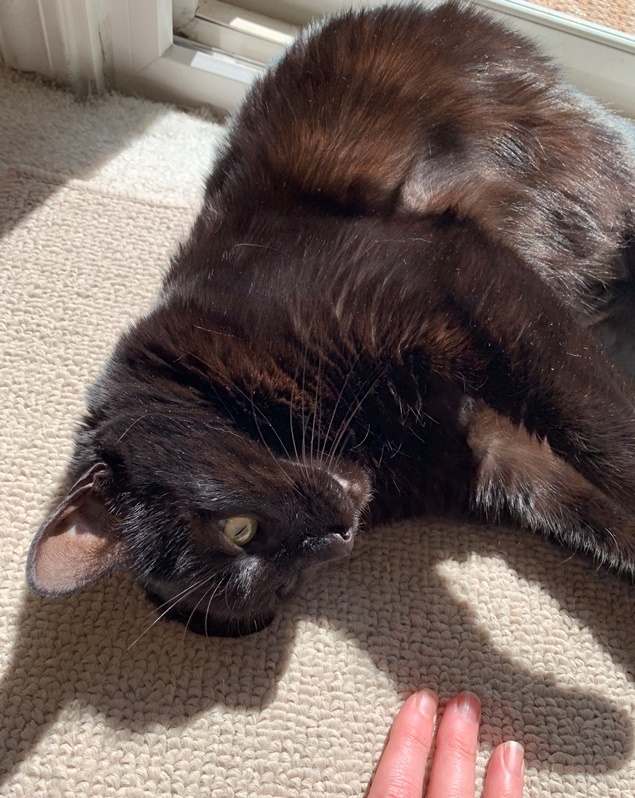 This entry was posted on March 18, 2019 at 6:19 pm	and is filed under Cats, Teagan and Nessa. Tagged: black cat, bleached by the sun, eumelanin, rusting cat, sun rust, sunshine, Sunshine Girl, Teagan, tyrpsine deficiency, Wiki. You can follow any responses to this entry through the RSS 2.0 feed. You can leave a response, or trackback from your own site. I’ve definitely noticed the reddish tones in all of our black cats if they’re in strong enough sunlight. It was much more pronounced in our long-haired black cat. Teagan’s a beautiful cat in all the pictures! Yeah, I remember noticing long hair cats having more rusting. At the time, though, I didn’t know that is what it was called. Thank you, we think she is beautiful, too. That is what her name means! Yes, I recall this with many of my black cats in the past, but only now that you mention it. Hmmm. Ha! Me, too. Catwoods mentioned longhaired cats and that reminded me of longhaired cats I knew that were rusty! I think my orange tabby is affected by external factors as well. Some days his fur is a deeper orange, and it seems like the days he’s not feeling as well that he looks more of a sandy color with his stripes not as predominant. I agree! 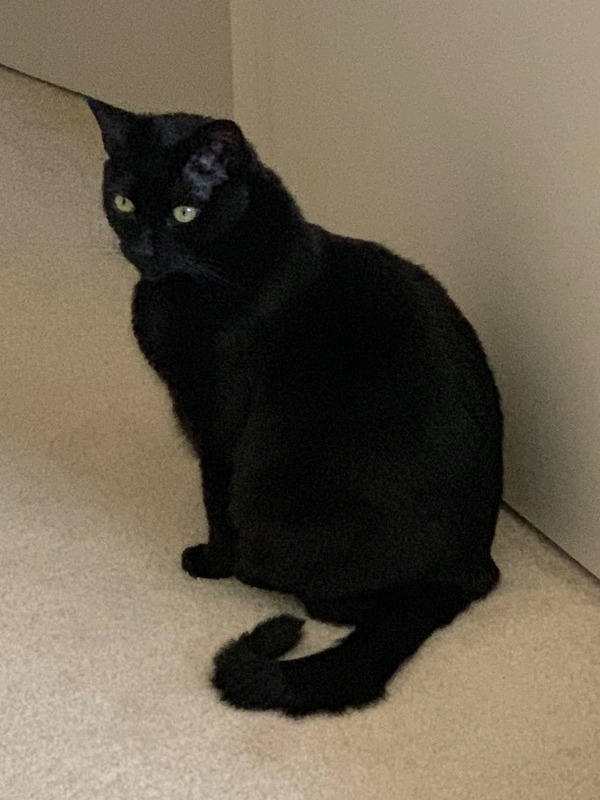 As I was looking into the pigment information, I saw stuff that said things along the lines of black cats are just cats with a gene (Dang, either WITH or WITHOUT a gene?!) that restricts the tabby coloring. And information about the gene that is for the red pigment. And their fur could be reflective of the way they feel. Perhaps, it is a nature thing? When he is feeling good he can be his deep orange-self, because if need be he could fight off any attackers? But when he is not feeling well he needs to be more muted so he can hide and go unoticed? That’s a really good point. I bet you’re on to something there. I dunno, could be, huh? Nature is amazing!